The Land Rover Defender will cease to exist in January next year. The new model will reach the market sometime before the end of the decade but the one we all know about will always grace our hearts and minds. This is another epic adventure of the Defender fighting its way over the Atlantic Ocean somewhere in the Scotia. 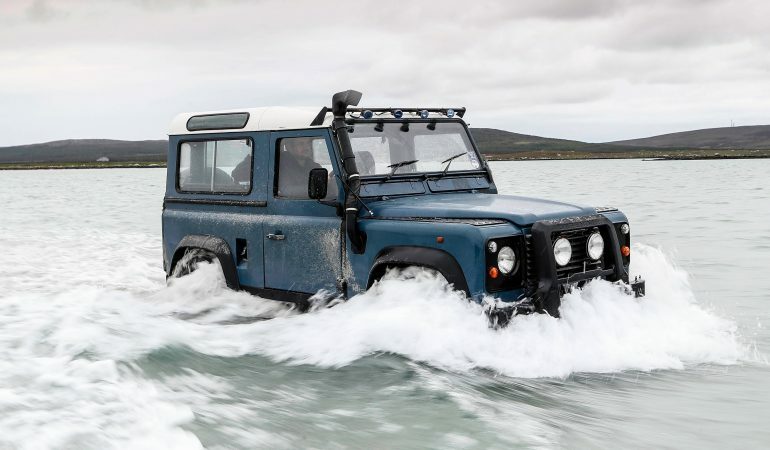 The adventure just made the Defender cover some serious distances in the ocean with its snorkel giving its engine all it needs. Awesome. It is even more awesome when you know that this Defender is a used one with 216.000 miles on the clock. Gangnam Style on a Motorcycle! !